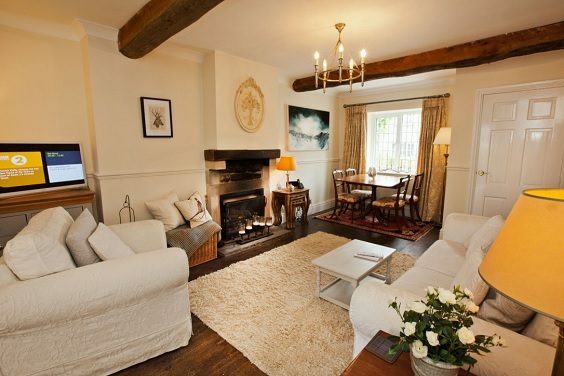 Rokerby Cottage in Hutton Magna, Teesdale – Travel Review. I must confess that living in the city of York – my favourite place on the planet – has made me intolerably lazy over exploring our beautiful county. There’s nothing I enjoy more than taking the dogs for long, leisurely walks in the breathtaking woodland beside our idyllic village of Bilbrough. And being a history addict, a quick twenty minute drive into York fixes my craving for stunning ancient architecture, as well as the added bonus of incredible restaurants and shops. However, as 2018 comes to a close, I’ve decided it’s about time I explored the outstanding countryside our county and neighbouring boroughs offer, which is why the Byrnes, comprising of two adults, two children and two gorgeous but greedy cocker spaniels, Diggerley and Merlin, found ourselves in the historic village of Hutton Magna on a cold November weekend. 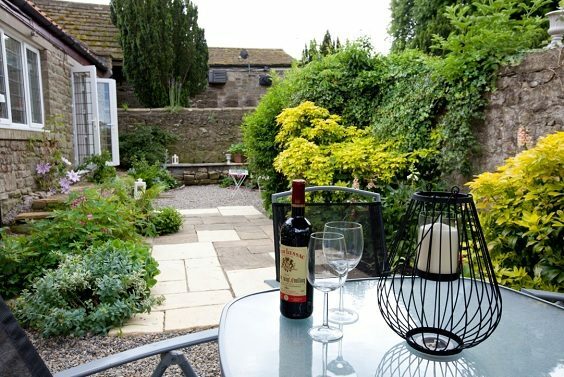 Our home for three nights was Rokerby Cottage – one of a selection of dog-friendly holiday cottages available to book through Gorgeous Cottages – in the centre of this tiny Teesdale Village in the Pennines. 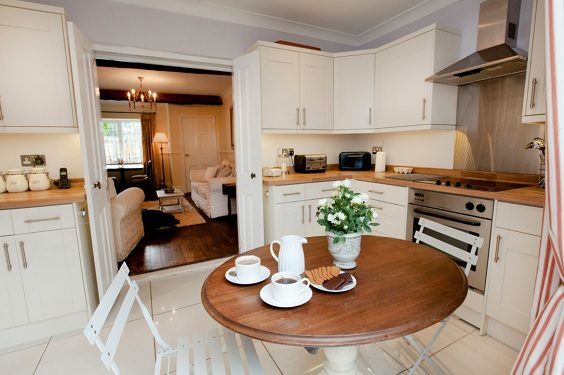 The cosy house has two bedrooms, one double and one twin room, as well as a large lounge, well equipped kitchen and a huge bathroom with a power shower and luxurious bath to soak in. French patio doors from the master bedroom and kitchen led to a discreet but lush terrace garden overlooking St Mary’s Church. Our first night was spent feasting on lamb chops and sipping a glorious Malbec before sleeping soundly in our peaceful new home. The next day we explored the local area. History buffs will love the fact that the parish is bounded on the south by Roman Watling Street and includes the old manor house of Little Hutton. It’s definitely worth exploring the medieval church of St Mary which was rebuilt in 1878 and possesses an array of stunning, stained glass windows. The north-east window of the nave dates back to 1260 while the south doorway has two small round heads carved into the stone from the 12th century. Like many villages across the nation, there is a booklet in the entrance remembering the local men who perished during the First World War. Hutton Magna is close to the town of Barnard Castle and I’d highly recommend taking a look around the world-famous Bowes Museum, which is currently holding a fascinating exhibition called Catwalking which includes creations by the late Alexander McQueen and stunning imagery by the king of catwalk photography Chris Moore. The museum also boasts a renowned art collection displaying paintings by Canaletto, El Greco and Francisco Goya, as well as a poignant exhibition on the role Teesdale played in the Great War including trench art, personal artefacts as well as a very moving Roll of Honour. I would also advise taking a twenty minute drive to the 29 metre High Force waterfall near Middleton-In-Teesdale to watch in awe as the River Tees plunges over 70 feet from the nearly vertical cliff edge. Gazing at the majestic waterfall, it’s understandable why JMW Turner was mesmerised by its beauty when he sketched the landmark in 1816. 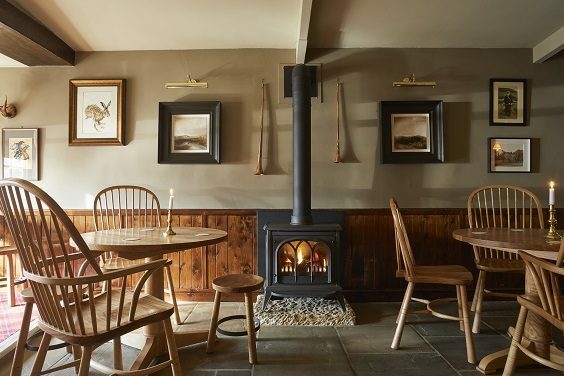 Just a few miles away is the pretty village of Romalkirk where we stopped off for Sunday Lunch at the famed Rose & Crown old coaching inn – definitely the perfect location to escape from modern life – which is run by the Robinson family, who’ve farmed in Teesdale for four generations. Thankfully the inn, which dates back to 1733, warmly welcomes furry companions so our two pooches Diggerley and Merlin joined us, waiting very impatiently while we were serve a delicious Sunday Lunch of roast beef with mouthwatering Yorkshire Puddings, roast potatoes and seasonal vegetables washed down with more Malbec. For pudding, I would highly recommend the caramelised rice pudding and cheese board with a selection of scrumptious local cheeses. Fit to burst after a late lunch, we drove back to our warm and cosy Rokerby Cottage, which has numerous wall heaters as well as a lovely wood burner. Following another restful night’s sleep we were very reluctant to leave this beautiful place that become our home for a long, relaxing and revitalising weekend – and cannot wait to book another trip to this gorgeous cottage.